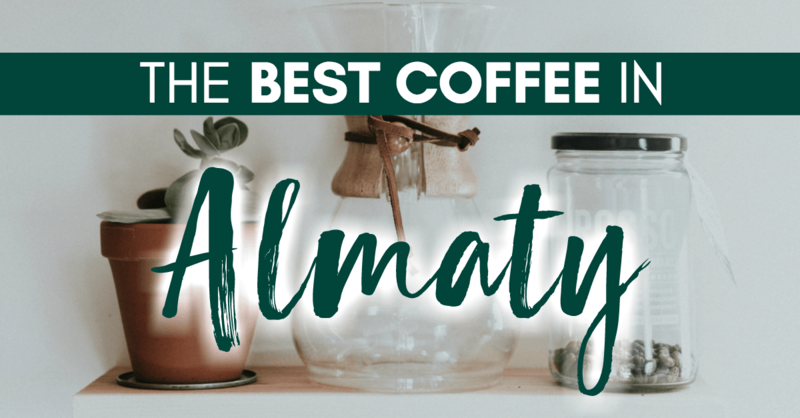 I was recently writing an article for another outlet about Almaty and I said I would send over some photos to accompany the text. 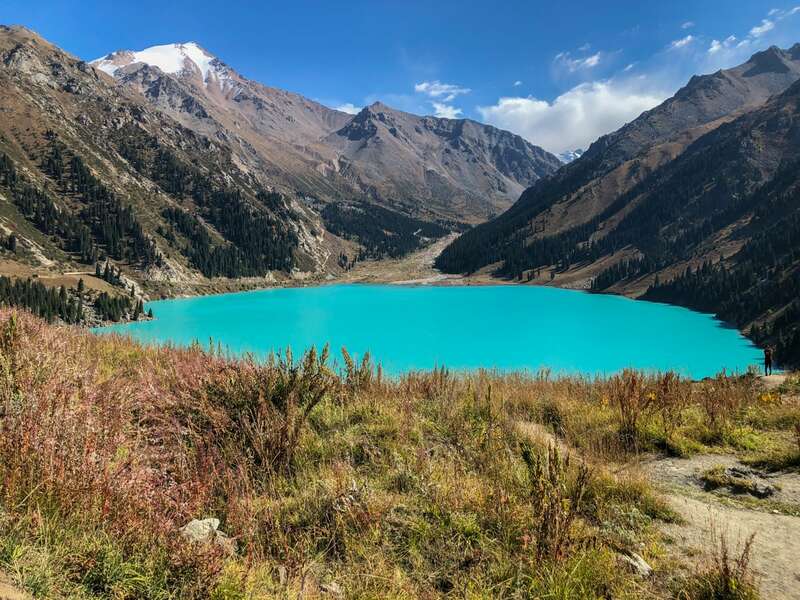 I sent over a few and I almost immediately received a reply back asking if I had a photo of Big Almaty Lake. Sheepishly, I said, “No… I’ve never been”. 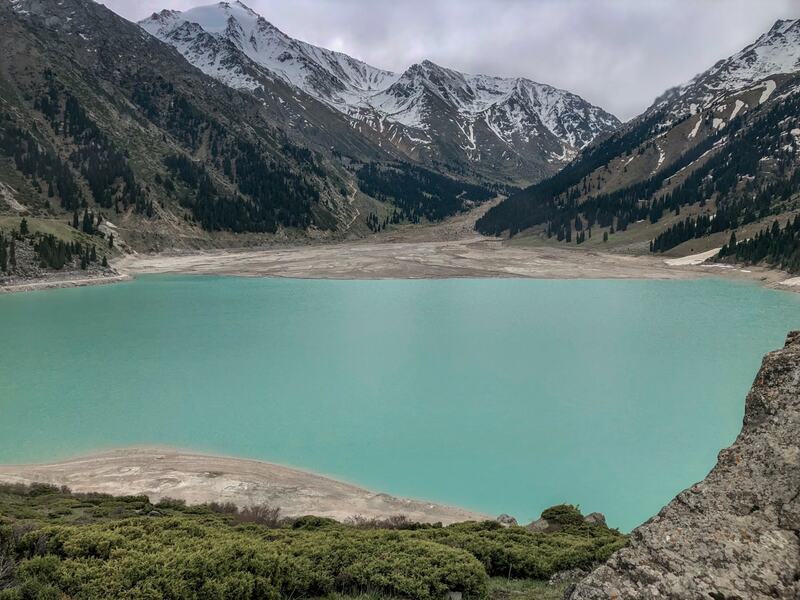 At the end of this Central Asia trip, I will have spent six months of my life in Kazakhstan and until a week and a half ago, I had never been to the most famous lake in Kazakhstan, Big Almaty Lake. 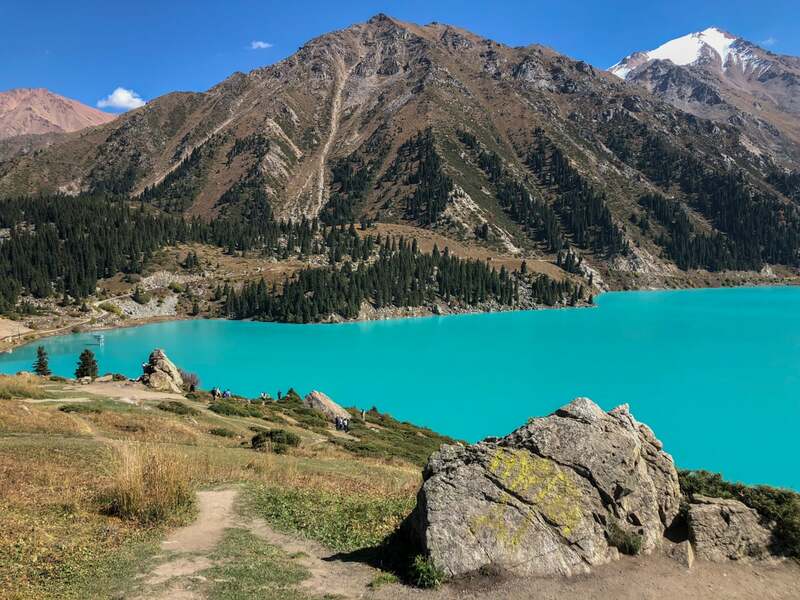 Update: I went to Big Almaty Lake in May this year and I ended up going back in September. This post will show multiple ways to get to the lake and photos from both trips there. The lake was far more beautiful in September than in May. If the lake is a milky blue in the photos… it was May. If it is bright teal, it was September. I constantly proclaim that I don’t like high-season travel. High-season travel is, more often than not, travel during the warmer months in a place. I hate heat and I hate being around tourists because I’m impatient and claustrophobic. 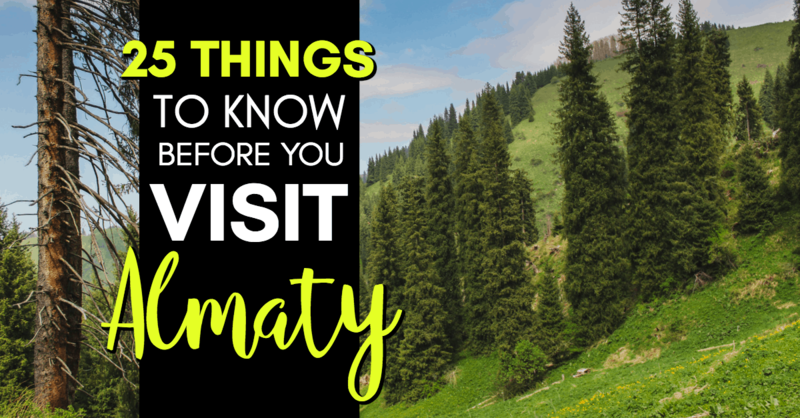 But, let’s be honest here… Almaty isn’t a tourist hub yet. And after years of retorting excuses to people questioning my off-season travels, I finally get it. 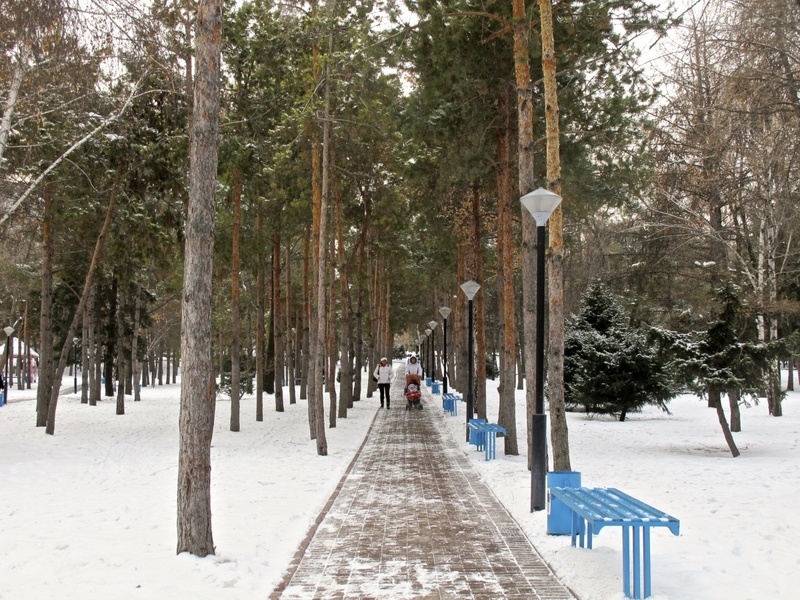 I completely get why people come to Almaty in summer or other seasons aside from the dead middle of winter. Big Almaty Lake is one of them. 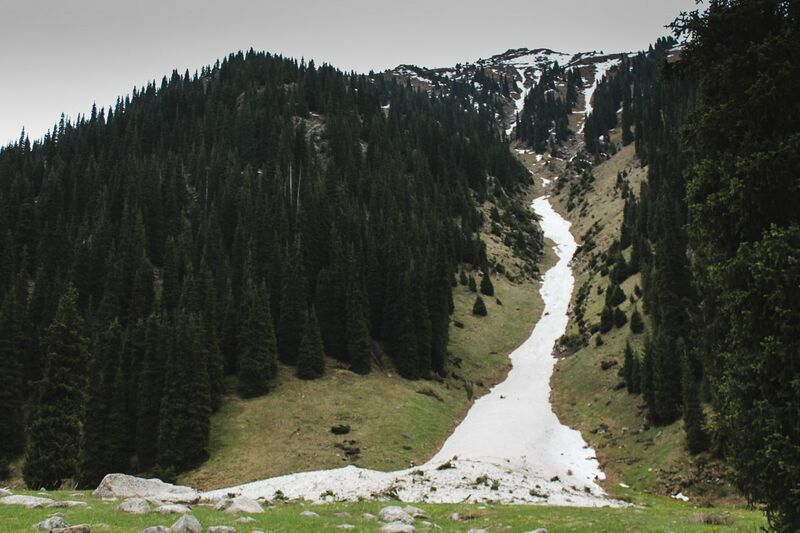 It’s not that you can’t reach Big Almaty Lake in winter. You most definitely can… but it is not something I’d try. Snow and icy roads scare me. I grew up somewhere that closes down an entire city if there is even a slight prediction of snow (spoiler: it usually never even arrives). I don’t trust myself driving and I certainly don’t trust other people driving. 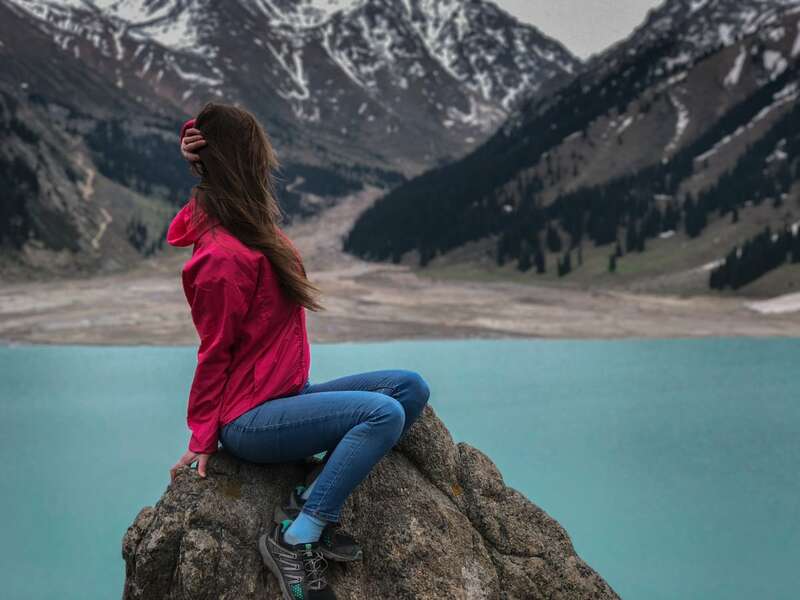 I knew that once I arrived back in Central Asia in May that I would undoubtedly make an effort to finally see Big Almaty Lake, one of the best day trips from Almaty. And with the help of my local friend, Julia, I finally got to lay eyes on this absolutely beautiful piece of nature. 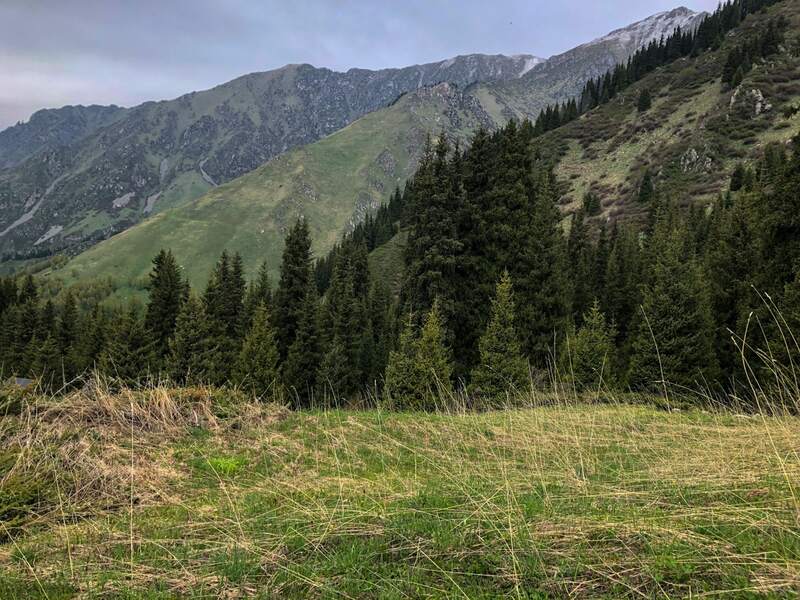 Here is a recap of my day, how we got there, and some travel tips for those looking to visit when they are in Kazakhstan. 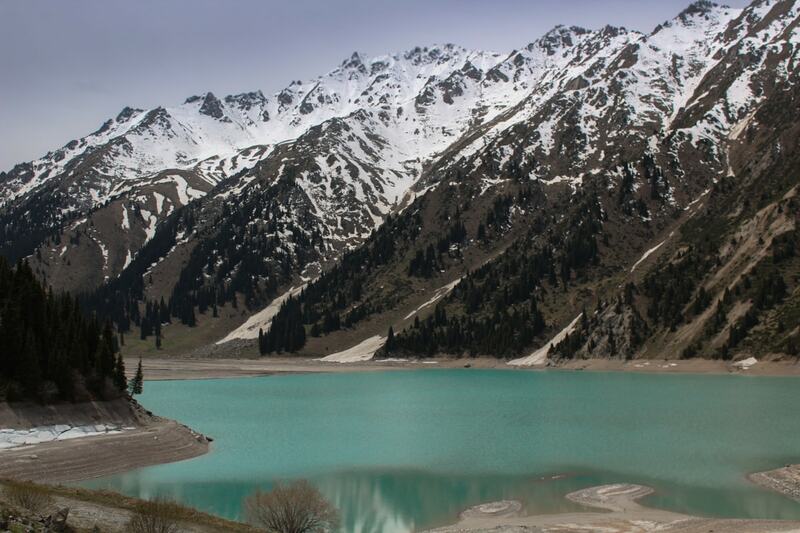 Big Almaty Lake is a natural alpine reservoir high up in the Tien Shan (Trans-Ili Alatau range) mountains that stand proudly south of Almaty. The lake itself is around 15 kilometers from the city center, but obviously, the drive takes a bit longer. 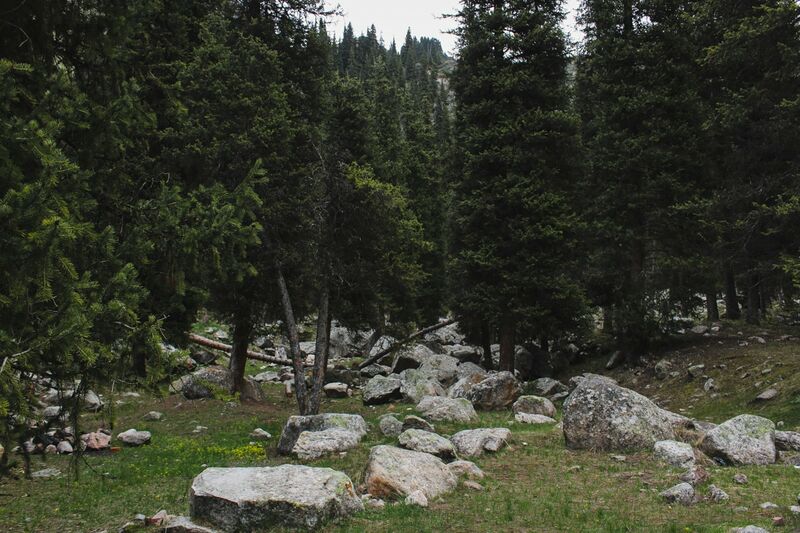 The lake is 2511 meters above sea level and is at its fullest in August and lowest in February. Interestingly enough, the lake was really dry when I was there and was about half to 2/3 full… which was much to everyone’s surprise and no one really seemed to know why. The lake empties out into the Big Almaty river which flows down into the city. 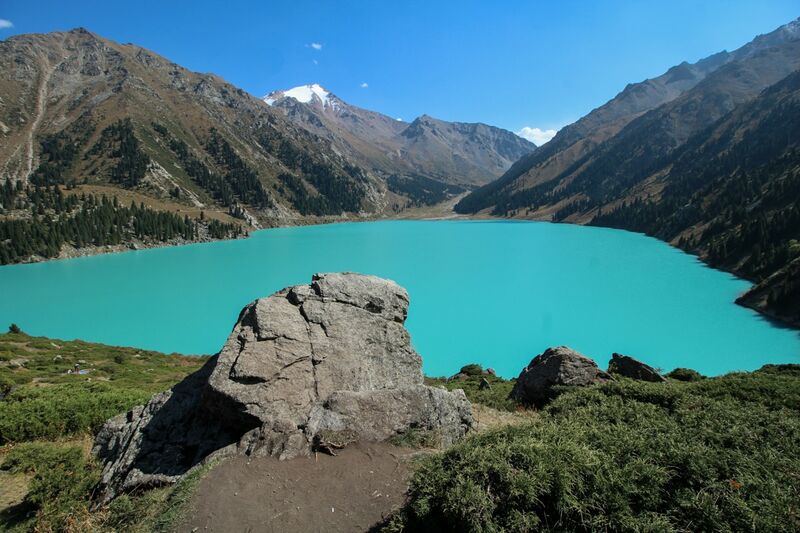 The lake is a major source of drinkable water for the city of Almaty and as a result, no swimming is allowed. The lake is also heavily guarded and there are many areas that are completely off-limits to people. The area is really close to the Kyrgyz border, actually. 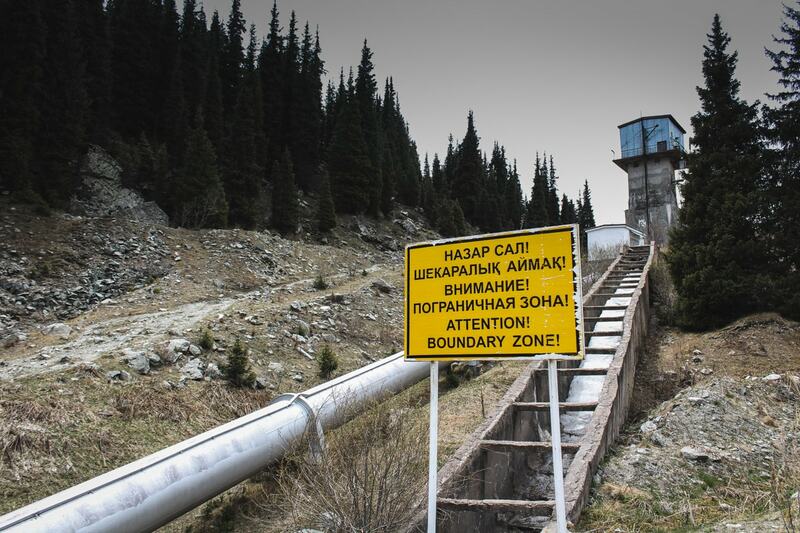 During Soviet times, this border was open and you could hike from Kazakhstan to Kyrgyzstan from this area. 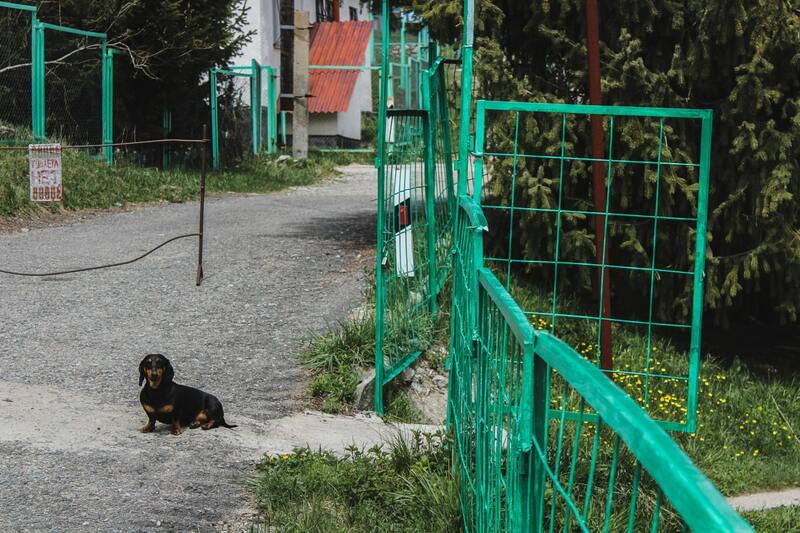 In recent years, however, they closed the mountain border and it is off-limits to get anywhere close. The lake itself is free of charge, but you must pay a small fee to enter the park at the bottom of the mountain (was around 400 tenge per person when I was there). 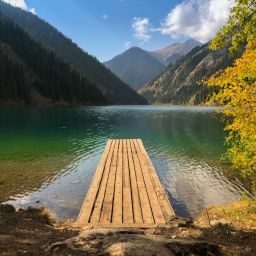 Rules and laws are constantly changing for Big Almaty Lake, so do be prepared if things don’t work as you found them on the web. Welcome to Kazakhstan. 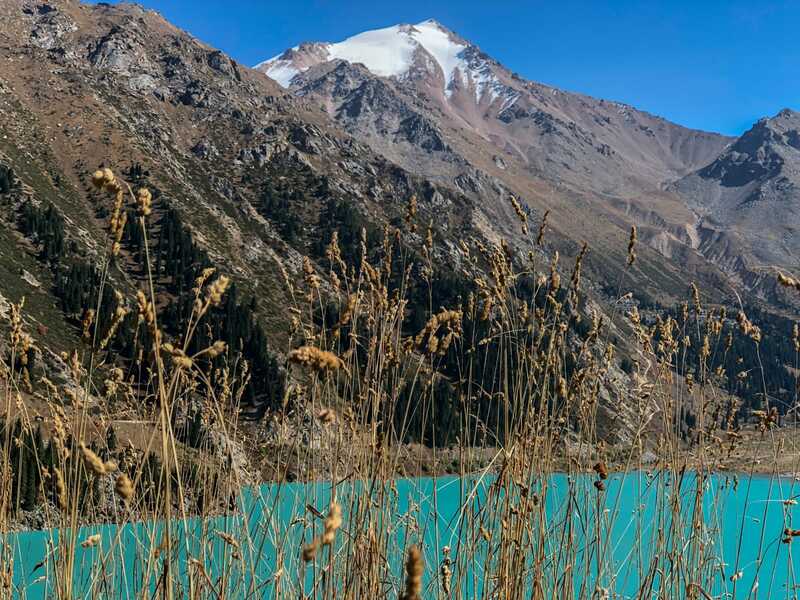 From Big Almaty Lake, and even within the Almaty city limits on a non-smoggy day, you can see majestic Big Almaty Peak. 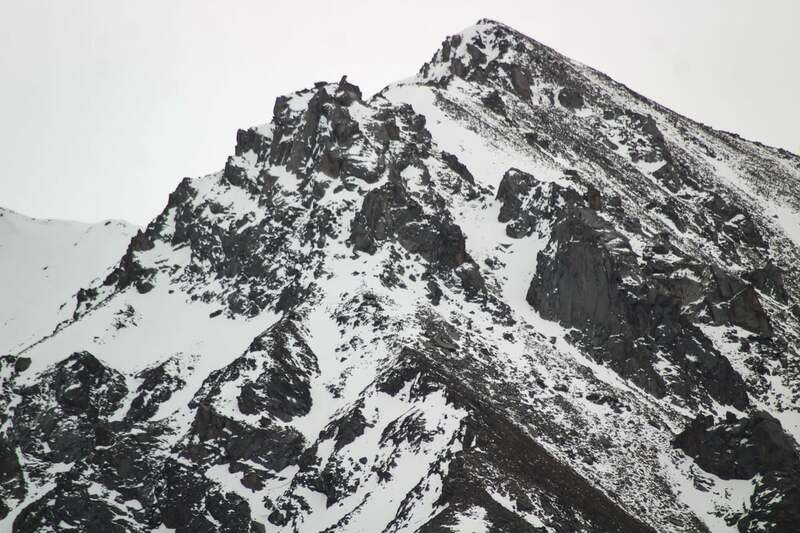 This peak is 3682 meters above sea level and is reachable from Big Almaty Lake. It looks like a pyramid and is just incredibly beautiful. You won’t be able to miss it from the lake. Well, the best way to get there is by taxi. If you are traveling with others, it is a rather cheap trip. Since I was traveling with a friend, we split the costs. 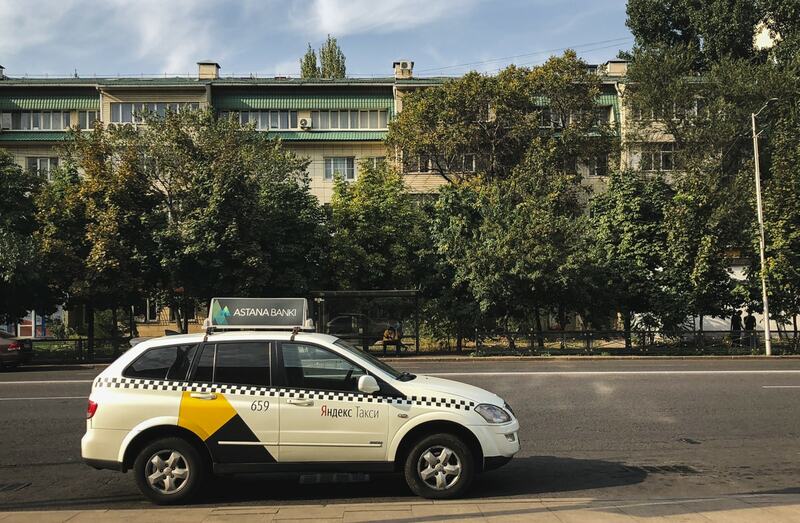 A taxi one-way to BAO (Big Almaty Lake as often seen written) is about 3000 tenge, or $9-10. My friend and I met on Navoi Street beside the First President’s Park in Almaty (map below with exact location). We then hired a taxi from that area. There were a few around or you can use Yandex taxi and see if one will confirm to take you up there. The Almaty city taxi dropped us off right at the lake. It was really simple. Another option you can do is to hire the taxi via Yandex and have it wait for you. I went back to Big Almaty Lake by taxi with a friend in September and we had the taxi wait one hour for us there. This trip ended up costing around 6800 tenge in the end (we tipped to make it 8000 tenge). You can do all of this in the app itself (it allows multiple destinations). 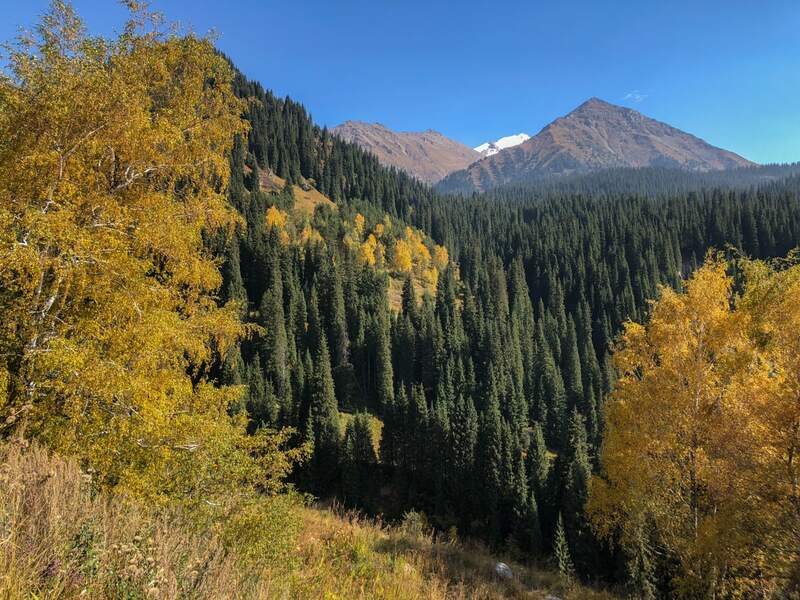 If you choose to not hire a taxi for the entire duration of the trip (which I advise that you do unless you’re planning to spend all day up there)… here is some advice for how to get back to Almaty from Big Almaty Lake. You can actually take a taxi once again, but mobile service was limited up on the mountain, so we found it easiest to hitchhike. We made an additional stop in between the lake and the city (I will discuss that later), but from the lake itself to the waterfall we hiked to, we hitchhiked with a random car. They were overjoyed to find out I was American and refused to take money from us as they were going that way anyway. From the waterfall back into the city, we found a marshrutka going to a stop outside of the city. We hopped on board, paid a measly fee, and rode down the mountain with them. I was there in mid-May on a weekday. It wasn’t overly crowded and I was a bit concerned about finding a ride, but Kazakhstan locals are all familiar with this system, so don’t fear and just ask someone for a ride. Dom is the only place I stay when I am in Almaty. I don’t like hostels at my age because I’d rather be anti-social and curl up in a corner by myself, but for some reason, this hostel becomes family everytime I stay there and it is a refreshing feeling for someone who basically lives on the road these days. 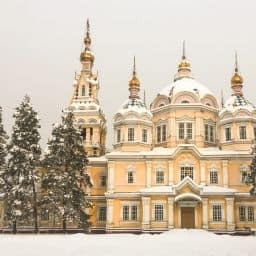 Anyway, they organize tours to Big Almaty Lake and are a perfect place to add to your Almaty itinerary whether you’re looking for a tour or a place to stay.! 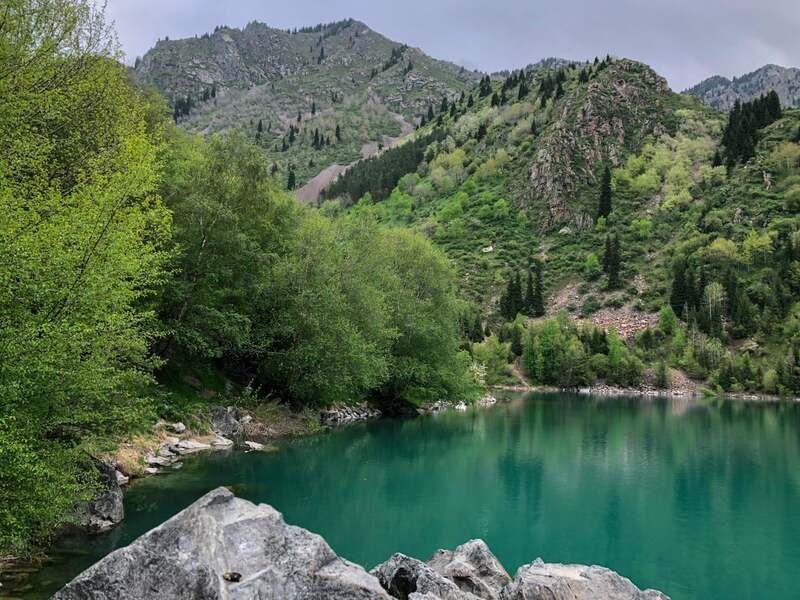 Organized by owner Shakir and Yakutian rockstar, Syuzannes, they will put something together for you and ensure that you get the maximum experience of seeing this beautiful Kazakh lake. 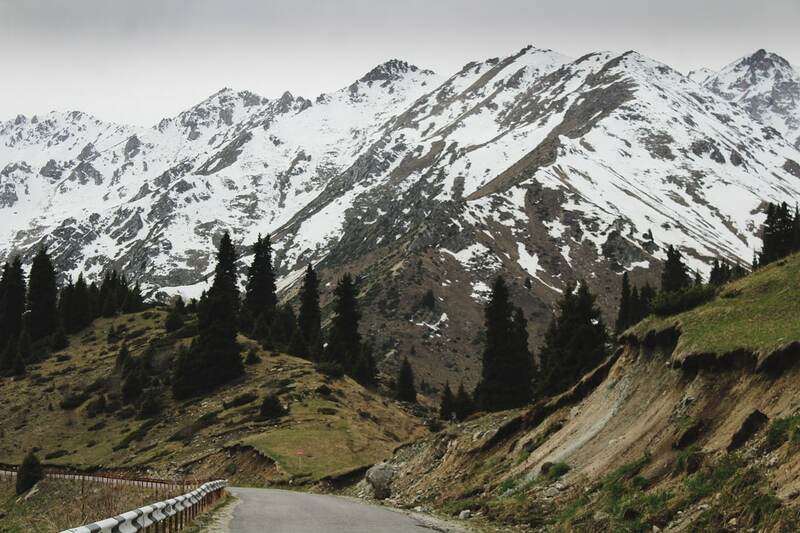 You also get to check out Big Almaty Peak on their tour. To inquire about dates and prices, send an email to [email protected]. 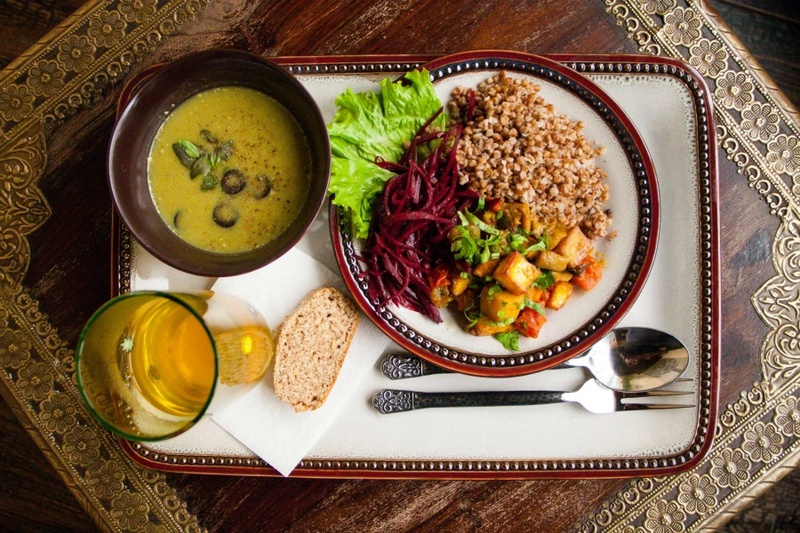 You don’t have to be a guest at the hostel to book this! 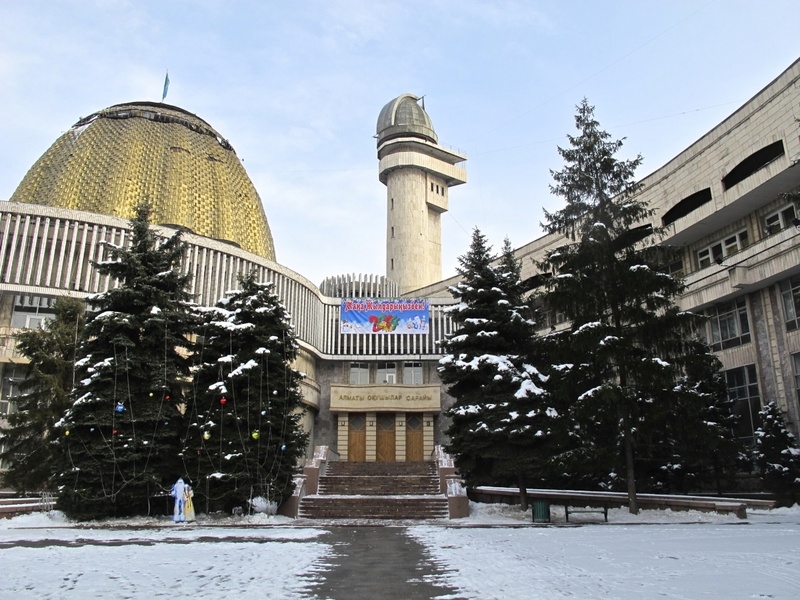 Be sure to also check out Almaty Hostel Dom on Facebook or Syuzannes website (in Russian, but easily translatable). 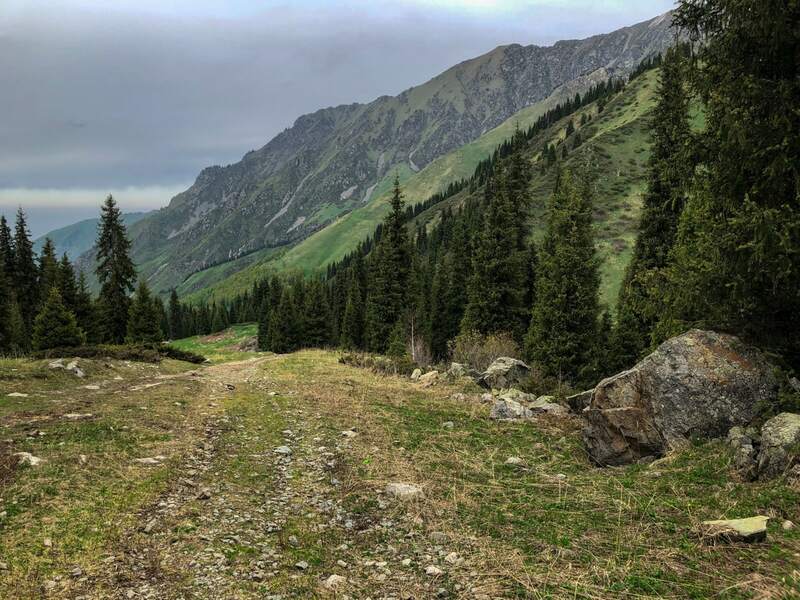 When I was hiking Furmanov Peak on accident (I was on my way to Butakovskiy Waterfall… not Furmanov), I met a girl named Aida who I chatted with for about an hour as she sent me the correct way. As it turned out, she runs a community and tours under the Instagram account Steppe Spirit. 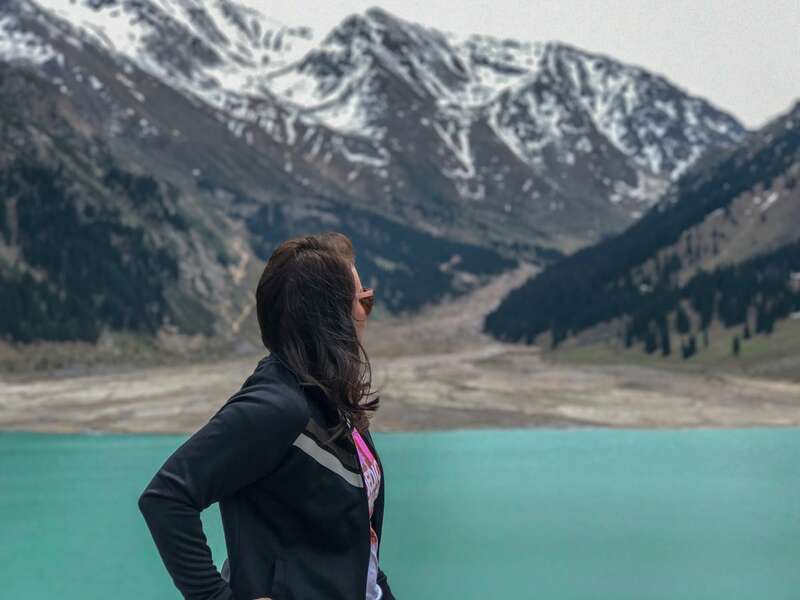 They go to some amazing places and I highly recommend connecting with her for a tour to Big Almaty Lake if that is the route you want to go. You can send her a message on Steppe Spirit and inquire about prices, dates, etc. They run private tours in addition to group ones that are pre-organized. She speaks English well. Click here to find Steppe Spirit on Instagram. 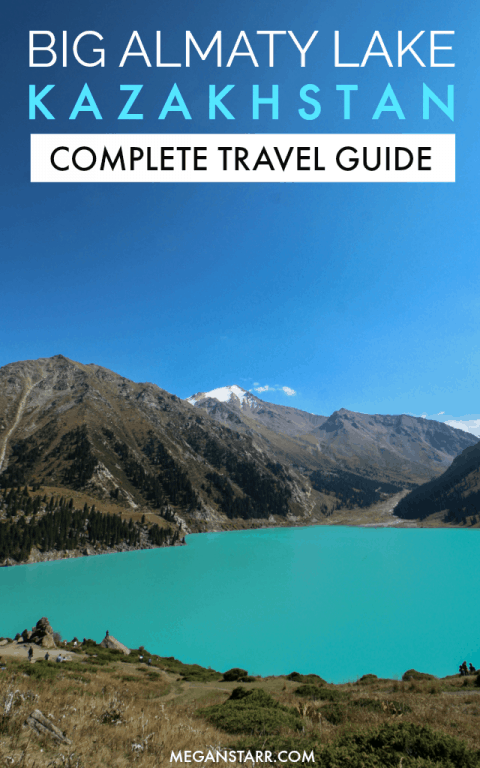 I was very close to booking a tour to the Kolsoi Lakes and Lake Kaindy with Campit.kz when I ended up deciding to leave Kazakhstan early for better wifi opportunities (ahem… my website was blocked in Kazakhstan) in Kyrgyzstan so that I could work. But, I was going to be booking those tours through Denis and Sultan over at Campit.kz. They always have something organized, be it Big Almaty Lake or something else. 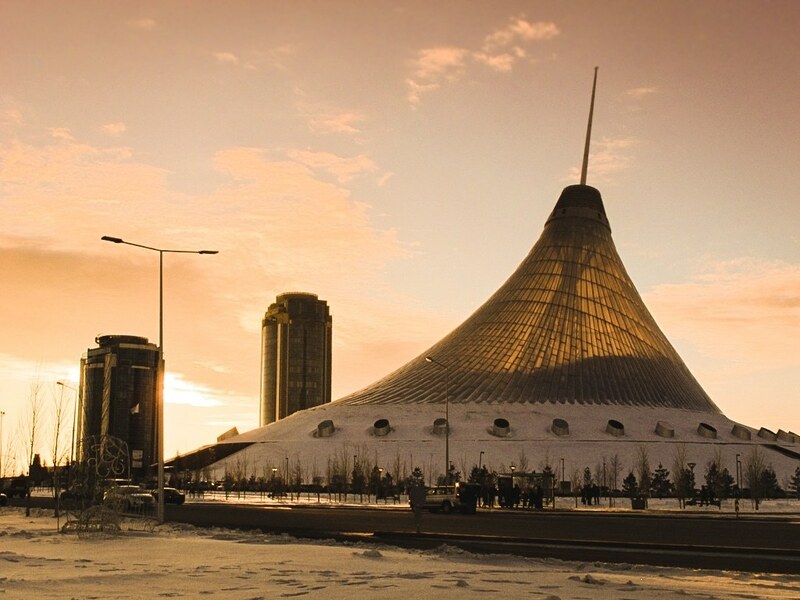 So, take a look at their account or send them a message and they will help ensure you get to see more of Kazakhstan than just Almaty. Click here to find Campit.kz on Instagram. 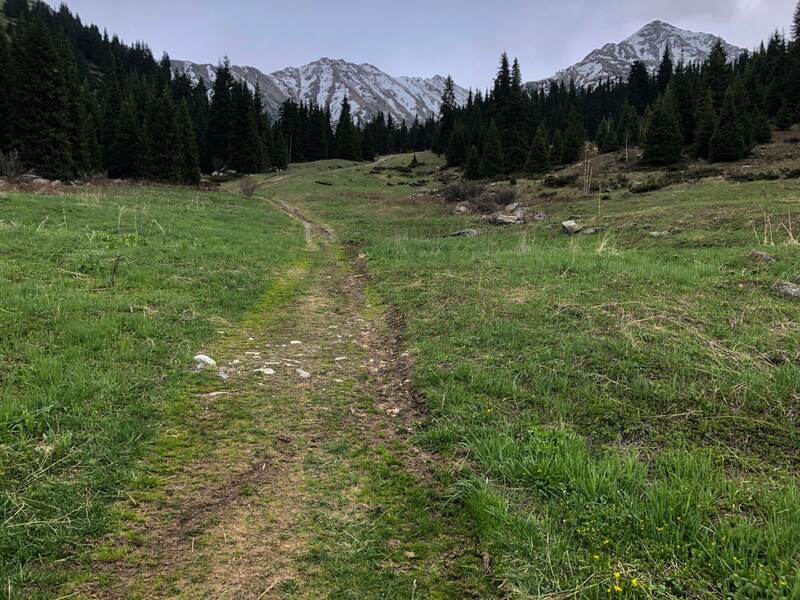 While I was asking my friends which companies or guides they took to Big Almaty Lake, my friend Rachel recommended Valentina Guesthouse. 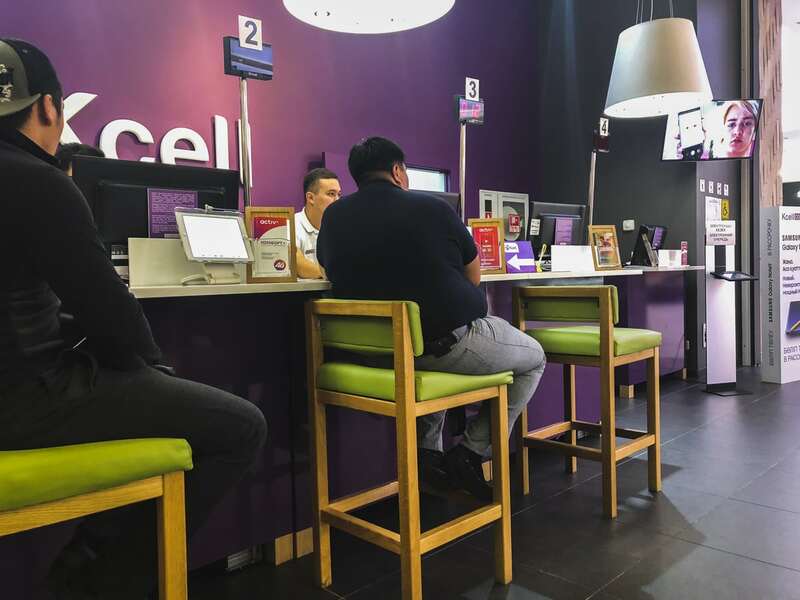 She used their services back in 2015 and said it was fantastic. A little pricier than some other tours, you get quite a few perks with it from a packed picnic, English speaking guide, and even a possible trip to the falconry. Park prices are included in the fee. Click here to check out Valentina Guesthouse options. Not winter? 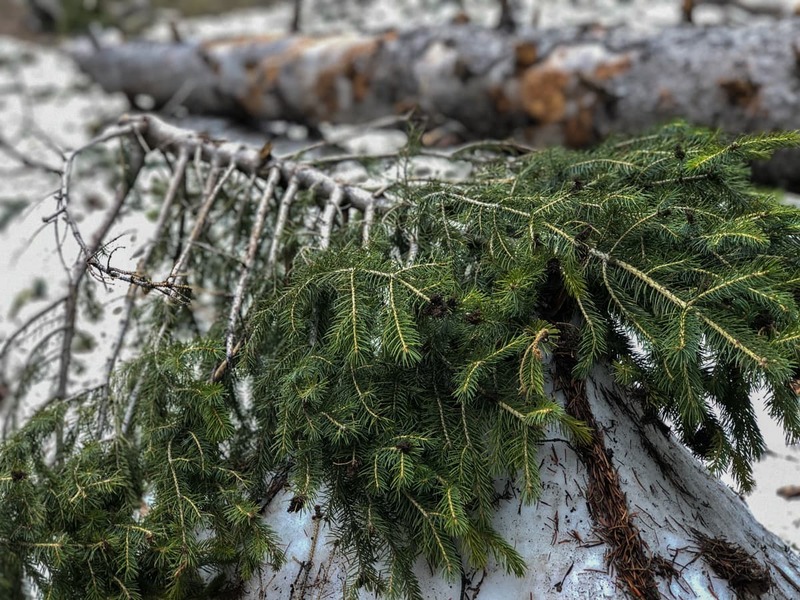 I think nature up there must be incredible any time of the year, but reaching the lake in winter on the steep mountain roads wouldn’t be a pleasant experience for someone with anxiety like myself. The lake turns a different shade of blue-green in every season and I can’t imagine that it is ever a sight for sore eyes. The best time to visit is during the summer months due to accessibility and ease on the roads. But, the lake is at its most beautiful in early autumn. As previously mentioned, the lake is various shades of blue-green all year round and will certainly be beautiful. Believe it or not, hitchhiking is one of the most common ways to get around in Kazakhstan. It isn’t scary like we depict in movies and television shows in the US. If someone is going the same way as your desired route, they will likely have no issue picking you up. I always offer money on the other hand and many people will expect that you do too. Just negotiate a price with them (I use the calculator on my phone when there is a language barrier) and hop on in. Sometimes they will take you along for free. Kazakhstan locals are very friendly and love meeting tourists in their country. To grab a ride in Kazakhstan, just stand on the side of the road and put your arm up. Nothing exciting or stressful. If someone has room in their car, they will likely stop. Hitchhiking experts, Journal of Nomads, have stated that a key tip they recommend is to have written in Russian your destination before you even head to the place. Showing this to the driver will give you a better chance of not getting dropped off in the middle of nowhere. They also state to always carry around enough water just in case you do end up dropped off somewhere obscure and remote. 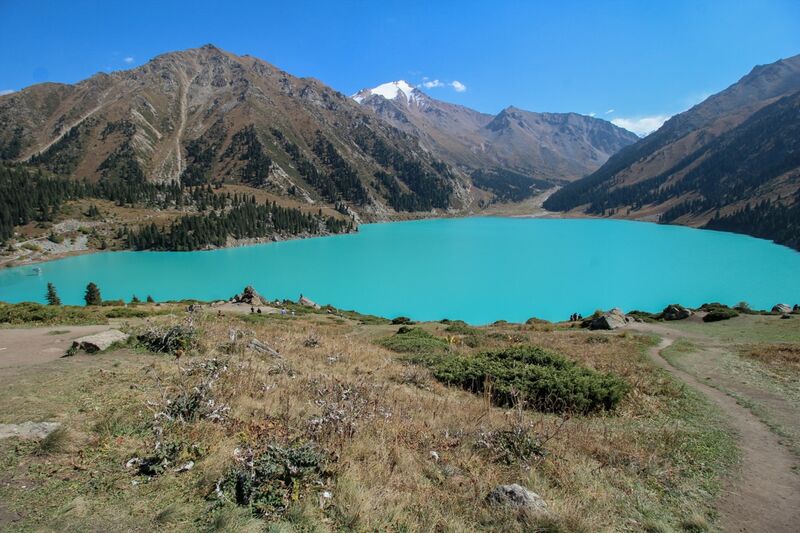 Fortunately, Big Almaty Lake is close enough to the city center that you should be fine. Click to read a more conclusive guide to hitchhiking around the world. Your passport: This is very important. The guards and police will likely come up to you and check your passport. Have it on you! I can not stress this enough. Reusable Water Bottle or Jug (already filled with water): I use a Klean Kanteen when I travel and have for years. Sadly, I left my one for this trip inside of the Efes Bar at the Tbilisi Airport, but I still recommend filling yours up with water for the day and toting it along with you. Click to see the Klean Kanteen I use(d) but donated to the TBS airport. 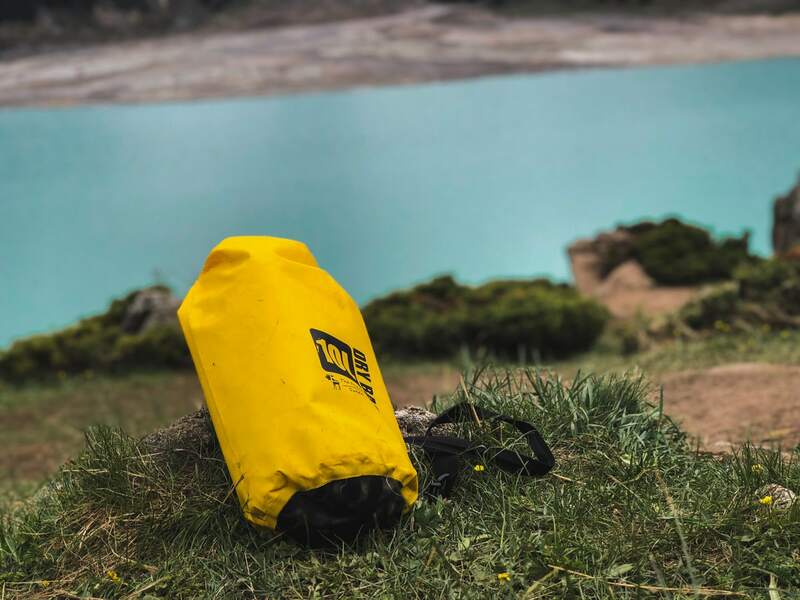 10L Dry Bag from The Friendly Swede: If you have been around me in recent years, you will notice I carry around this loud, waterproof bag and I usually fill it with my laptop and camera equipment. 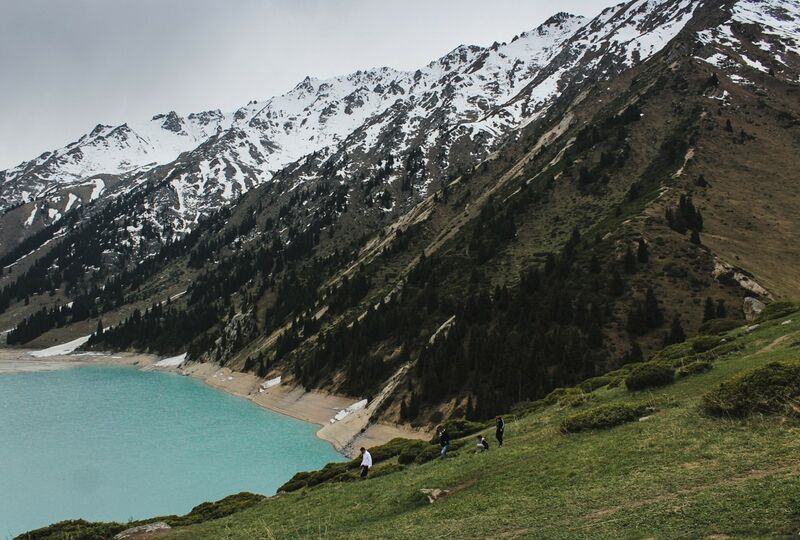 I tend to traverse to places with unpredictable weather and Big Almaty Lake is one of them. On my day trip there, I witnessed sun, snow, and rain all within a single day. My camera equipment thanked me for keeping it dry inside of this bag. Click to see the Friendly Swede dry bag set I use. Or you can see this link where another blogger recommends a variety of dry bags for backpackers and travelers. 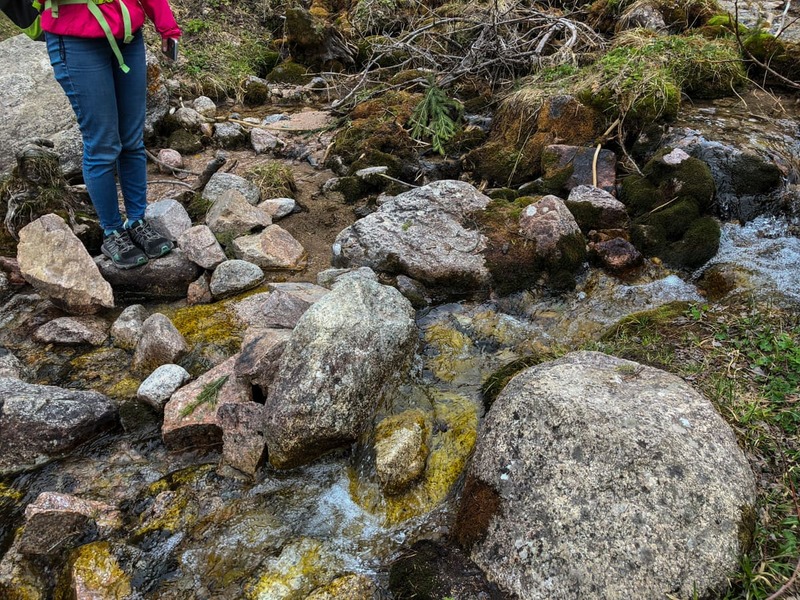 Keen Targhee Mid-Waterproof Hiking Boots: I have sworn by my Keen hikers for years. I purchased them at REI years back and they have served me well. If you’re going to be trekking around the lake or the peak at all, you definitely will want to have proper footwear. 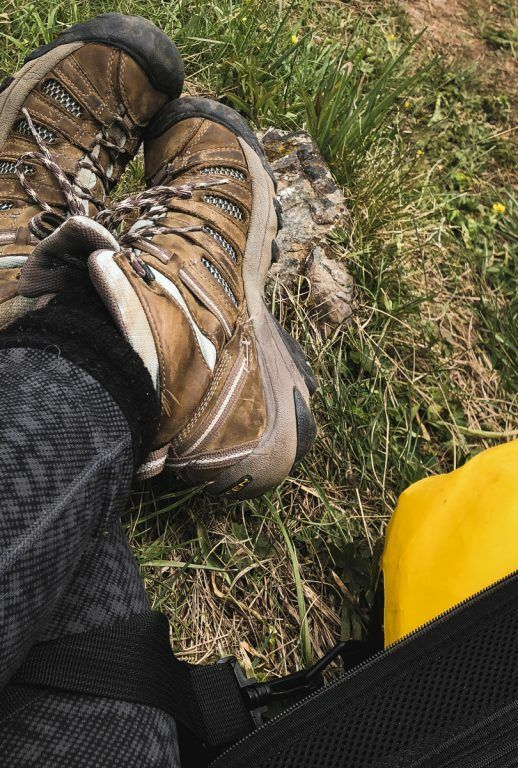 Click to see the Keen Targhee boots I use. Food: Bring snacks for the day! There isn’t really anything up by the lake. On your way up to the lake, there is a restaurant near a waterfall I mention below that you can stop off for a full meal, but it would be remiss of you to not pack snacks, fruit, and some treats for the day. Russian dictionary or phrasebook: I mean, you don’t really need this, but if you want to be able to read signs or just have that added buffer of language protection, it may be useful to have a Russian guide on you or an offline translation app available. Service is a bit shotty up at the lake unless you have a Beeline SIM card, so ensure you can access app offline. Click to shop a Lonely Planet Russian Phrasebook. 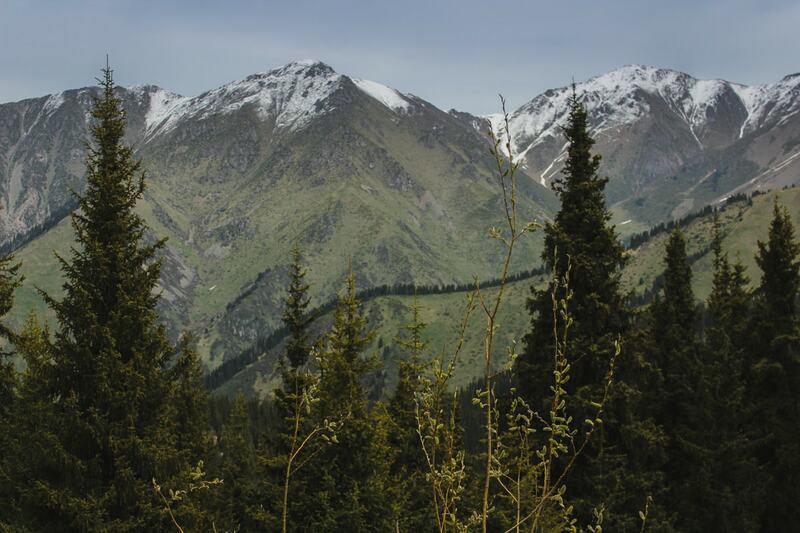 Of course, there are several treks in the mountains around Big Almaty Lake. 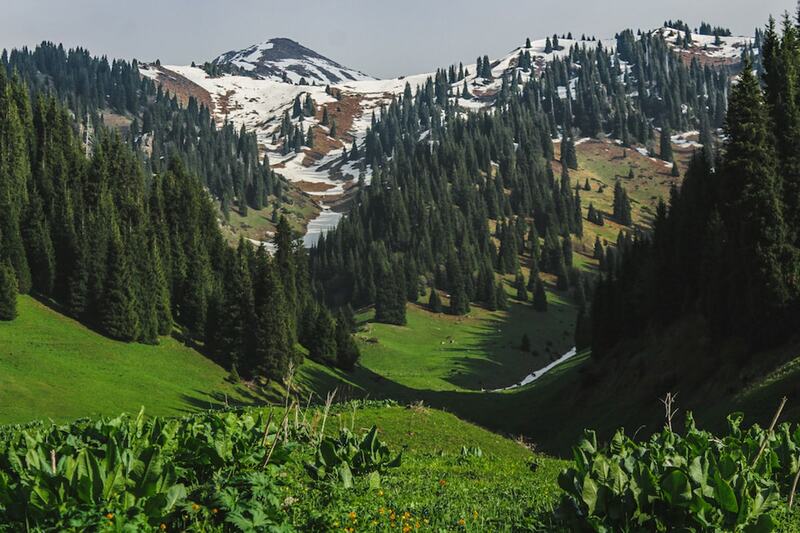 You can hike to Big Almaty Peak when up at the lake, as well. But a trek I suggest is the Chukur Waterfall and Gorge trek. This isn’t particularly a known spot most of the year and seems to only be familiar to locals, but the valley is absolutely stunning and the hike to the waterfall is breathtaking. In mid-May, we ran into snow around the waterfall, so we didn’t get to complete the rest of the hike and see the actual waterfall. But, I didn’t even care. A day spent with my friend trying to navigate our way while I fell through piles of snow and almost cried was pretty fun, in retrospect. You can see where to find this hike on the map below. In order to get to the start of it, you must go toward the restaurant and up the stairs. You’ll see what looks like a pretty well-worn path with gravel at first and then just follow it along into the valley. The only place I recommend staying in Almaty is at Almaty Hostel Dom or its sister property, Parasat Hostel. Both are owned by a great guy and I have lived in both for long periods of time. Interestingly enough, the two properties are pretty different from each other, which means they suit all types of travelers. Parasat is quieter and more spacious. An amazing kitchen and it is located in a nice and safe area of the city. Almaty Hostel Dom is also located in a nice and safe area of the city, but it is more like a ‘home’ as the Russian word ‘dom’ suggests and is cozier and more intimate. You will inevitably meet people who will become your travel family there. 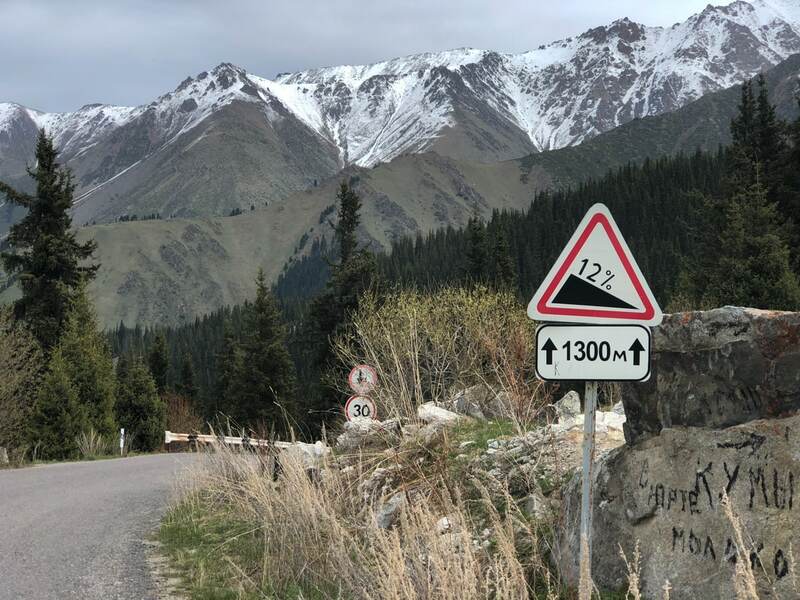 Getting to Almaty is really easy actually. 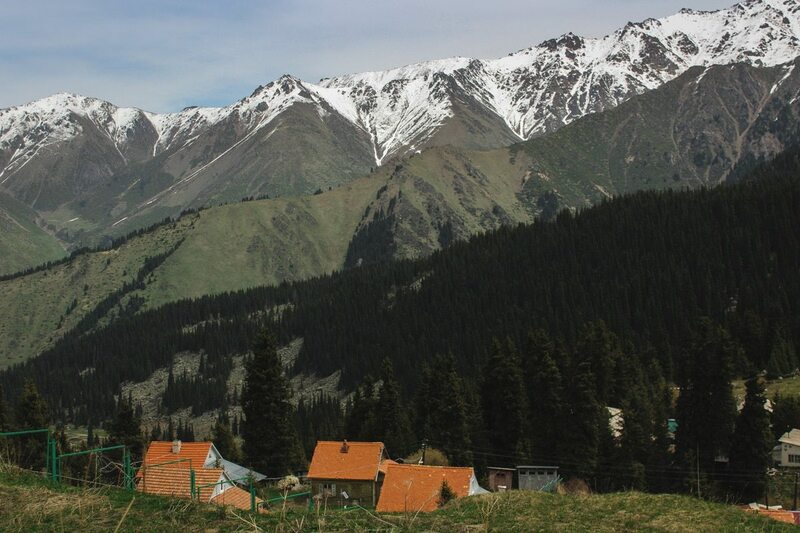 If you are coming to Almaty overland from Bishkek, it is about a five-hour journey and extremely cheap and easy. 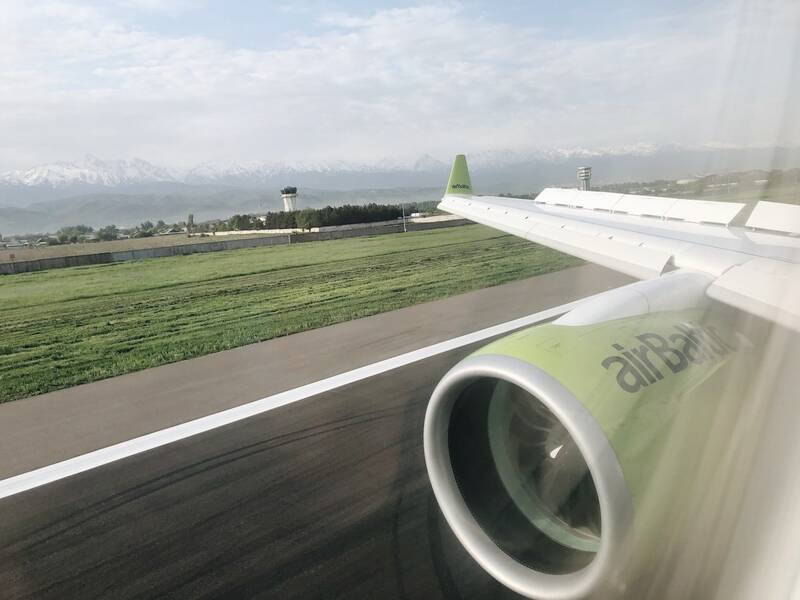 If you are interested in flying to Almaty, I suggest coming with airBaltic as they recently opened up a new route from Riga to Almaty. I flew out this way with them and it was one of the easiest and most pleasant flights I have ever had. This map indicates the points I talked about above including Big Almaty Lake, Big Almaty Peak, Chukur Waterfall (dropoff area), First President’s Park and Navoi Street, etc. Your photos are always great but you’ve outdone yourself here! 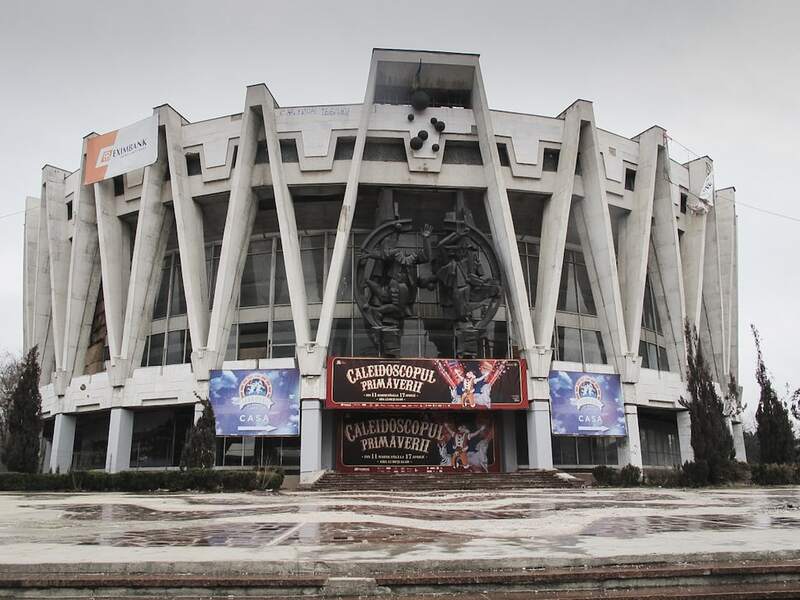 Can’t wait to get to Almaty and visit this for myself someday soon! Great pictures. I was there in April last year, but it was still covered in snow. A white winter wonderland. And yes the icy roads were quite scary.